My friend and I were so excited when we heard about the convention in October. I live in Germany and she lives in Israel and we both think that Brandon Sanderson is the best Fantasy author we have ever read. We thought that the convention will be the best way to meet together after 6 months and meet our hero. Unfortunately, organizing different flights from Israel and Germany takes time and we discovered that the tickets for the event in London were sold out. We are devastated! We already booked the flights to London and Manchester is not really an option for us! Is there any way to get two tickets for us? we are going to travel such a long way to meet Sanderson. By the way, the longer story is that I’m going to take the signed book, fly to Barcelona and give it as a birthday present for my sister that works as a security officer on a cruise ship there. I can’t think of a geekier adventure! A quest to meet authors we have no other way to meet together! I’m pleading for help, can we somehow get two tickets? Hi Roni – I think they’re moving London to a bigger venue, so there may be more tickets available soon. 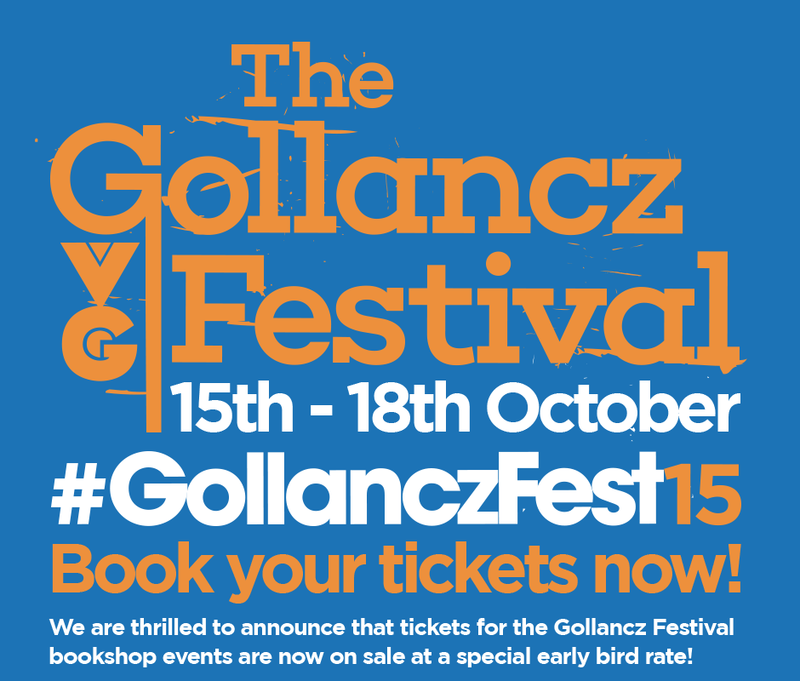 Follow @Gollancz on Twitter for news and I hope to see you there! Good luck on your epic quest! Next Next post: Robot Overlords is out in the UK today!